Broneer Type XXVII, start of series? 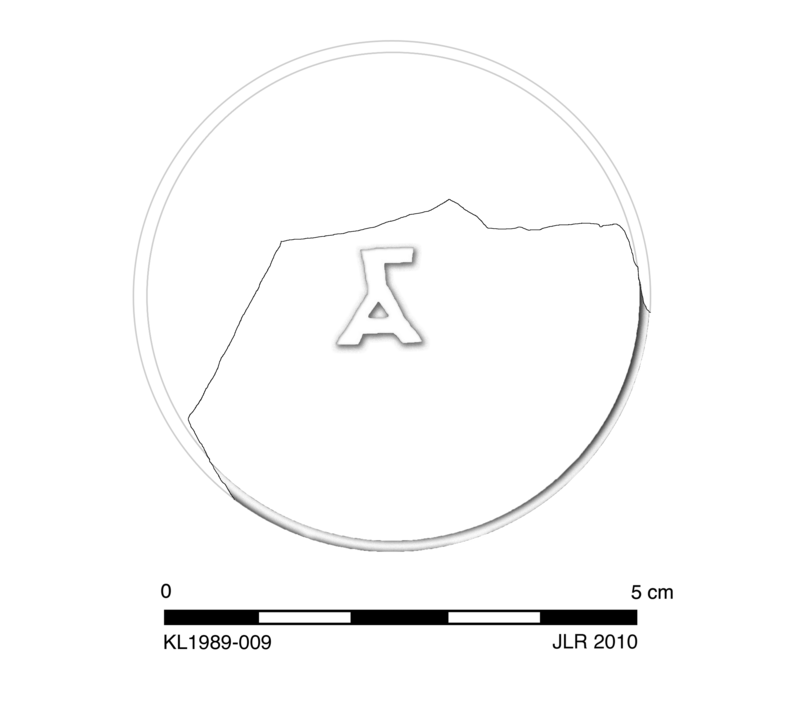 Circular, flat base with single circular groove around signature in relief: AΓ (monogram). 7.5YR 8/6, reddish brown. Early/Middle Roman Corinthian lamp fabric. 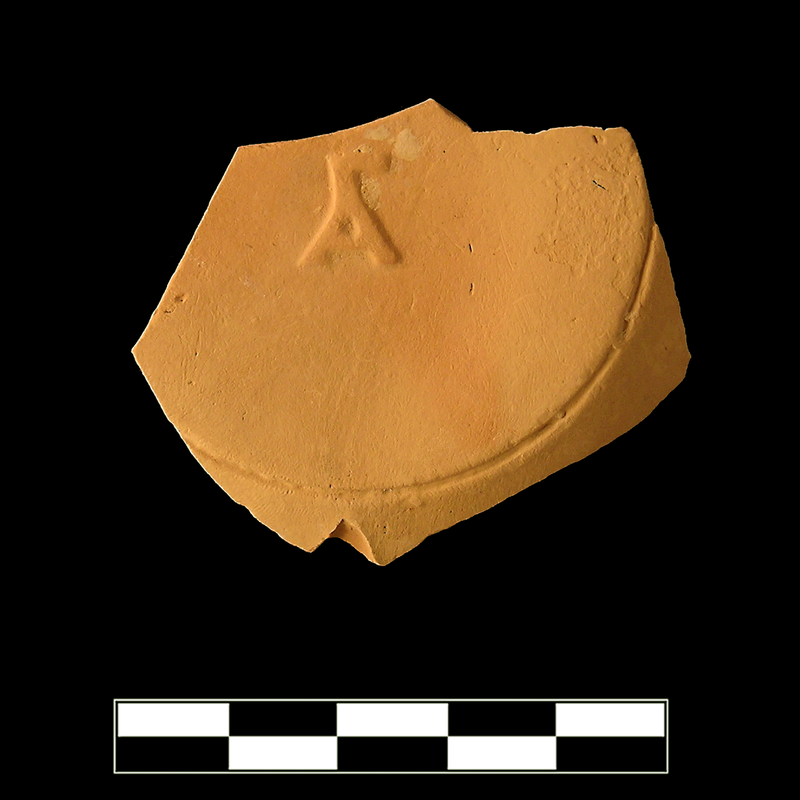 One small fragment preserves two thirds of base and small part of wall. Very slight abrasion.